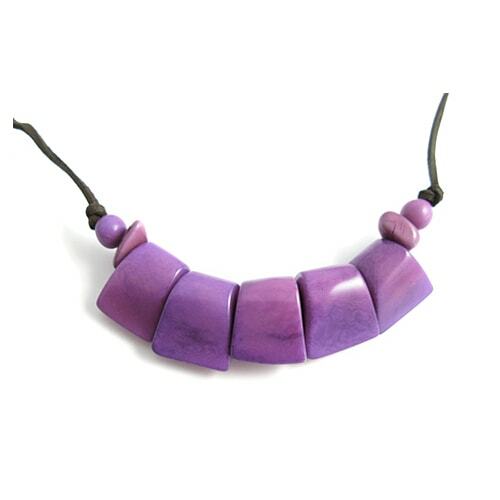 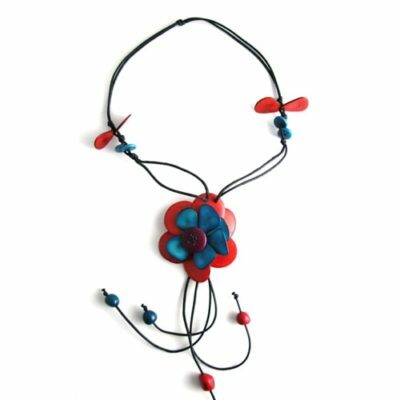 Simple, solid tagua nut chunks threaded onto leather to make a very attractive necklace. 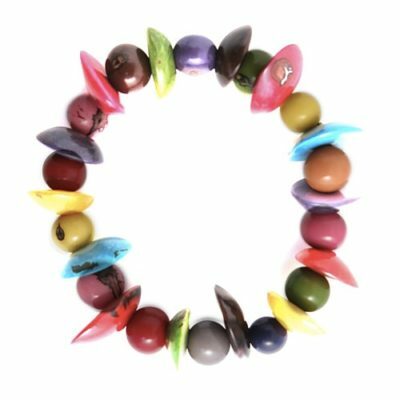 Easy fastening to create varying lengths. 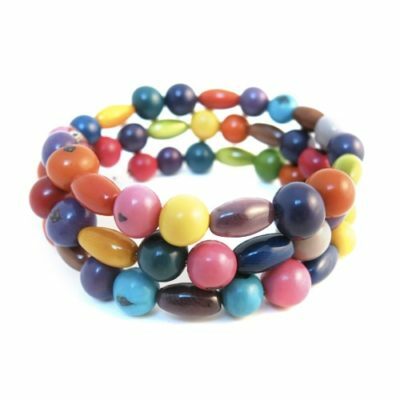 NEW LOWER PRICE…..LAST FEW MULTI COLOUR REMAINING!